If your feet could talk, they'd ask for these! I think that as climbers, we can agree that we're not best known for the aesthetics of our feet. Years of cramming our street size 10 into a climbing shoe 2 sizes too small leaves our toes in far from ideal shape, but a chiropodist dream. So this is a liberation, a way to thank our feet for all the abuse we put them through, the Huarache Running Sandal. 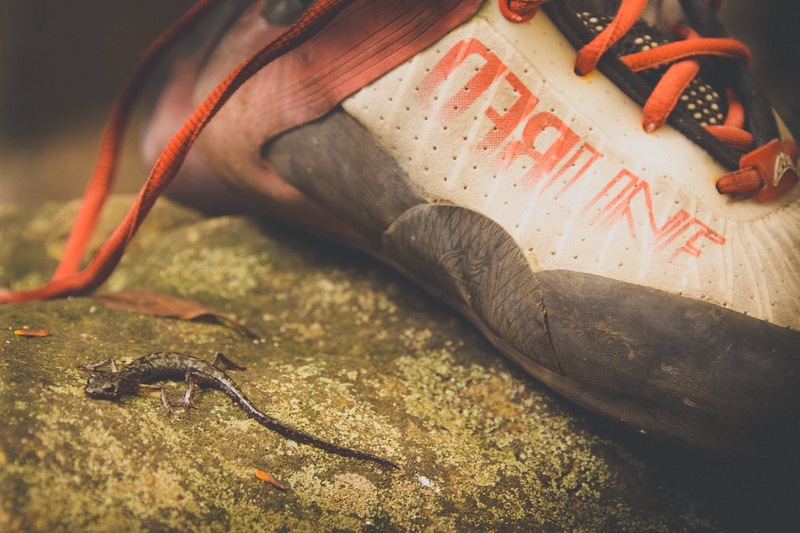 Based on designs from the Tarahumara people who inhabit a small corner of Northwestern Mexico, the crag flop is a simple, practical and comfortable shoe that weighs very little and is easy to slip on between climbs. 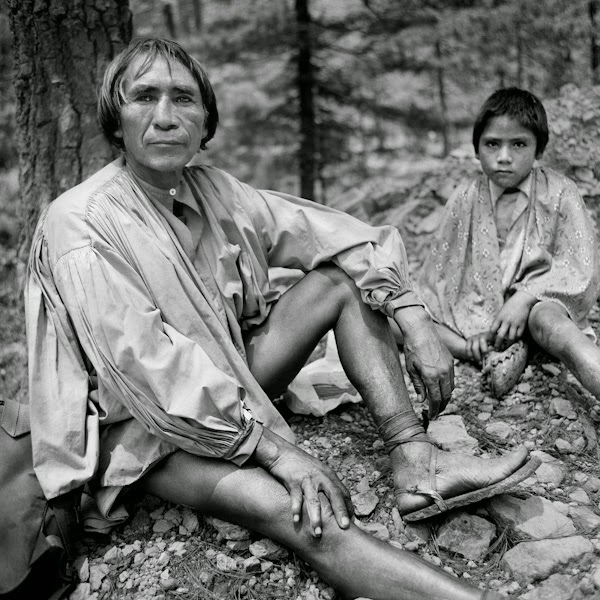 The Tarahumara call themselves the Rarámuri, meaning "runners on foot" or "those who run fast" in their native tongue. 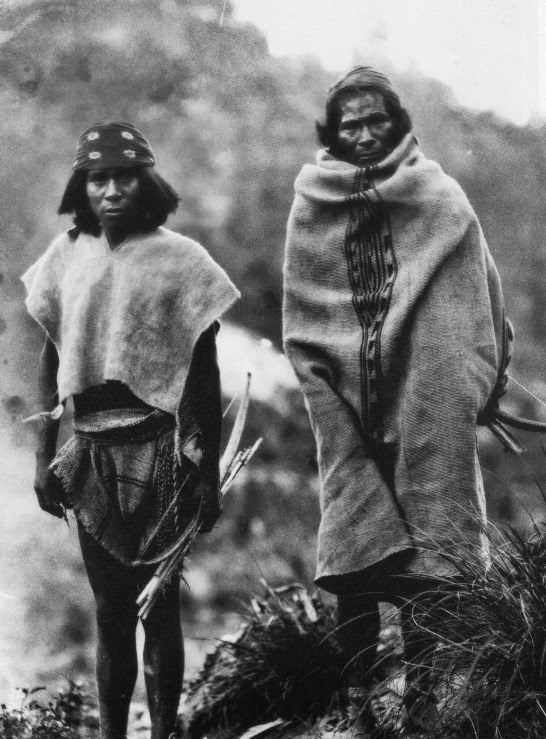 Made famous by the book "Born to run", they are best known for running distances of up to 200 miles in one session. 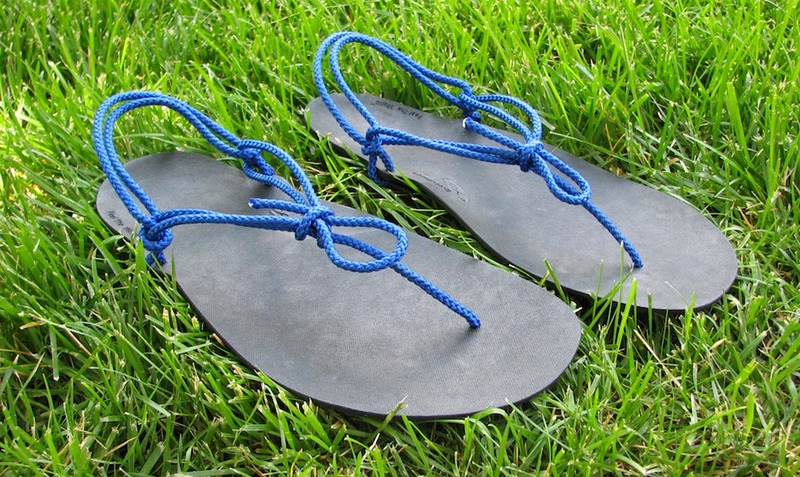 In this article, we'll take it step by step in how to create your very own Huarache running sandals, but with a modern flair! You will need a sole material, we're using Vibram Cherry which I picked up from Rock and Resole but you can other materials. I've heard of people recycling mocasins and using race car tires as an alternative. 12ft of climbing accessory cord or nylon paracord, 6ft for each flop. Again, this could be any string material but you'll want it to be soft as to not chafe the toes. Step 1: Tracing your foot. 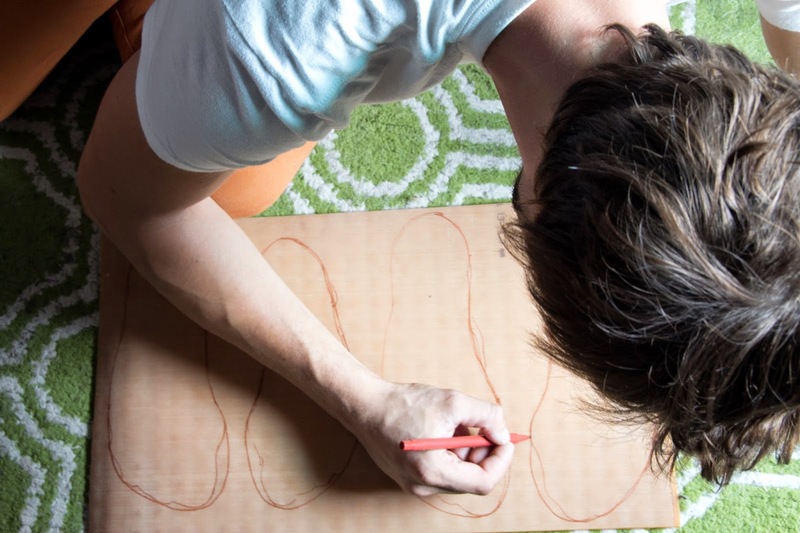 Placing the rubber on a flat surface, trace around your foot using a pencil / pen. 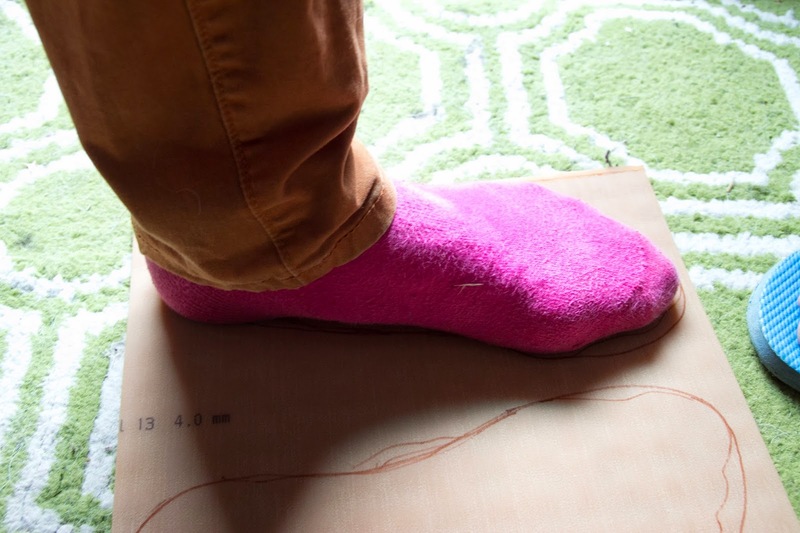 Be sure to keep the pencil vertical when drawing to get an accurate size of your foot. 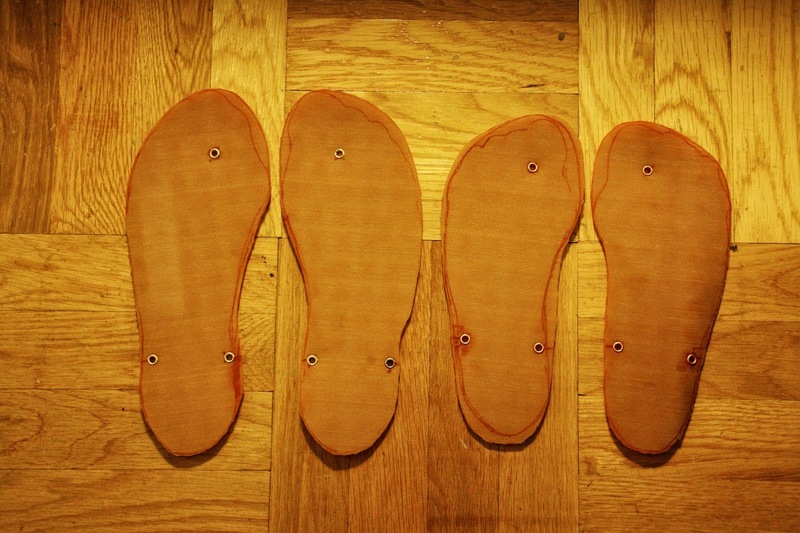 Now that we have an accurate trace of the foot, using a pen / pencil, we're going to smooth off the edges by following the natural curve of your foot allowing some movement and flexibility for the foot once we cut out the rubber sole. There are a number of ways to remove your sole from the sheet. A box cutter or a pair of strong scissors seem to do the best job. Scissors tend to be a little easier to use and don't pose the same worry of cutting off your fingers. 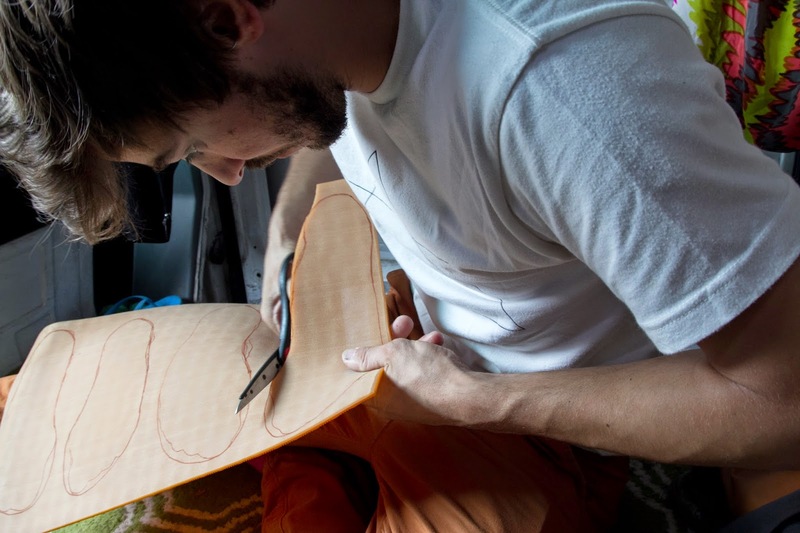 As with cutting out the soles, there are a number of ways to punch holes in the material. The thing to remember when making holes is that if you make them circular and exact, they're less likely to rip through. Avoiding using a knife if possible as the holes it creates is more likely to tear. To punch the holes, first mark between the big toe. Next, mark a line above the ankle bone either side of the foot about 1 centimetre long. At the end of the line, place another mark for for a hole. (see below) Using the hole punch and hammer, place holes in the marked locations. I decided that with these shoe I would put some rivets in as a further precaution to stop the rubber tearing but it's not necesary. 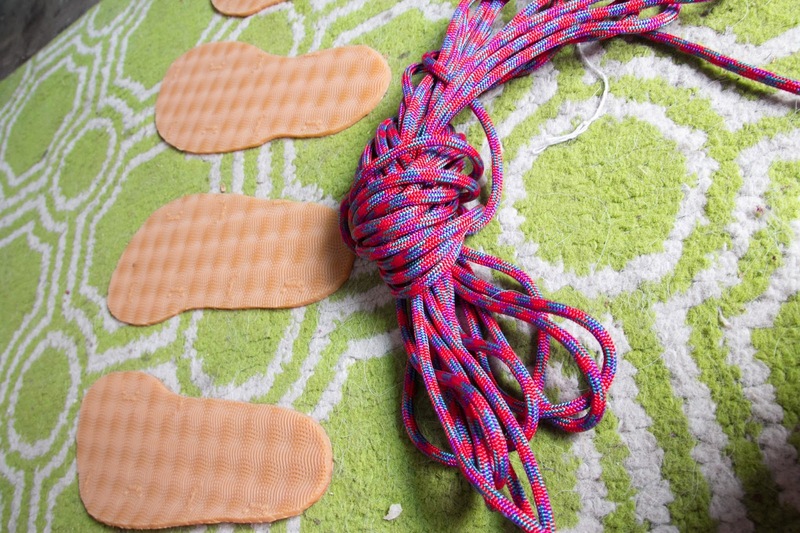 This part may seem complicated, but once you've tied the laces a couple of times, its super easy. There is no easy way to describe how to tie them, so I found this video online that will make it easier to see and understand the patterns. Sculptured by the hands East Coast legend Obe Carrion, the new Redline climbing shoe from Mad Rock is truly a game changer! This shoe is unlike anything that has been on the market previously due to a number of features including the very unique and very useful, moulded compression tongue which makes this fit like a slipper and a tie in in one. The shoe also utilises Mad Rocks Tek Flex upper which is designed to let the foot "breath". I've never yet used a shoe that truly breaths, but this is about as close as it gets currently in the climbing footwear world. The sole is fitted with R2 rubber which combined with the Arch Flex technology, keeps the shoes shape even when the foot is loaded in unlike many other shoes which tend flatten out. Mad Rock have been known previously for creating budget products which people would often shy away from thinking the lower cost had some correlation with quality. The new Redline sets to change that precedent and show that they not only make high quality, but that they can also role with the larger climbing companies when it comes to pushing the envelope of climbing innovation and technology. These admittedly might not be the best choice when hitting the slabs as the same technology that allows them to keep their perfect shape for overhangs is the same that also makes them less than ideal for smearing. A couple of people I showed the shoes expressed worry that the rubber may be to stiff. However, after testing these on a number of rock types and different conditions from the Red River Gorge to Boulder Canyon and even the Gunks, I find the slightly stiffer rubber actually makes them perform better on small and delicate holds. At $160, these are priced similar to that of it's competing shoes such as the La Sportiva Solutions or the Scarpa Instinct. They are significantly more than other shoes in the Mad Rock range but you're also getting a lot of new technology for your money. For me, the shoe couldn't be much better. It fits my foot like a glove with zero dead space throughout and provides me with great performance without crippling my toes. The quality of the shoe is unquestionably high but how long they last only time will tell. I've been using mine every day for a couple of months and they still show very little signs of wear. If you're like me, you'll have a number of backpacks floating around your home, all with different purposes. One for your rope, one for the work commute, one for multi-pitch, another for the gym. The list is long and hunting for the right bag when its time to shine arrives can often leave you running late. Being a bit of a minimalist, I'm always looking out for multi-use objects and items that can make life simpler. Take the spork for example. Why have a draw full of rattling cutlery that takes up space when you can have a spoon, knife and fork in one? Admittedly, I wouldn't be singing the same tune if I was blessed with ample space to live, but 3 years in a NY apartment the size of a dive bar toilet and then up-sizing to a Ford Van, I'm ruthless when it comes to owning anything that takes up space. I recently picked up the new Hanchor PIPE T-1 backpack and have been having fun taking it on a variety of adventures.. The bag itself is made of bomber X-Pac VX21, a laminated fabric which has incredible water proofness and shear strength. The bag itself is not rated as waterproof as the seams are not sealed, but it held up incredibly with the torrential NY rains that seems to come sporadically. Its zips are laminated to further aid in keeping water out and it has a number of zipper pockets throughout to make organising your life into a bag that much easier. Over past month or two, I've used this bag everyday for carting about my laptop about (Mac book pro 13") and taken it on a number of trips to see how it performed. 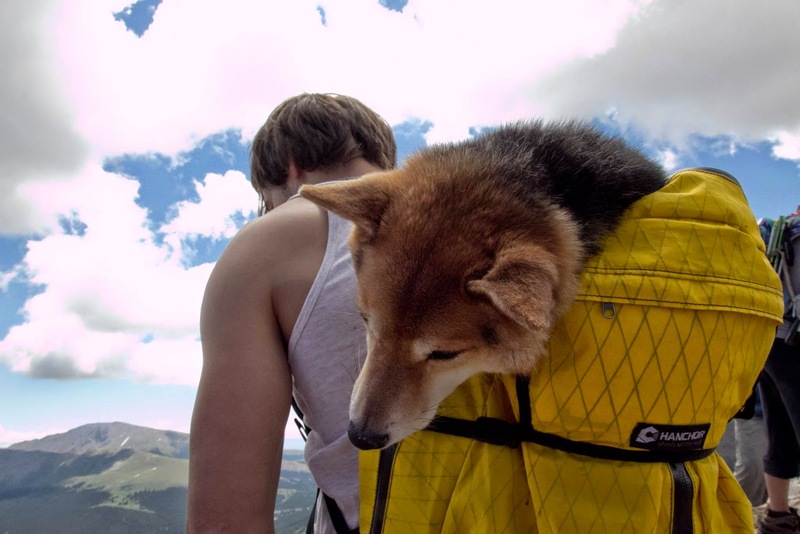 I first took it hiking up 14ers in Colorado in which it performed well. I easily fit everything I needed for the day, including one very tired dog (awww) and didn't chaff or rub. I also managed to fit a bladder in the bag with a bit of jimmy rigging with a NiteIze "S" clip. Not ideal, but it worked. Next, I took it to a climbing competition in Arkansas titled "Twenty Four Hours of Horseshoe Hell". The competition involves climbing continuously for 24 hours to accumulate points and climb as many routes as you can. It's an incredible event that will leave you feeling like you've been through the ringer the day after. For this, I loaded it with snacks, a guidebook, water proof clothing and multiple water bottles that conveniently fit snugly in the front pockets. Over the course of the competition, It got coffee'd , dragged across rocks and thrown through brambles. Amazingly, after the comp the bag was still in great shape! 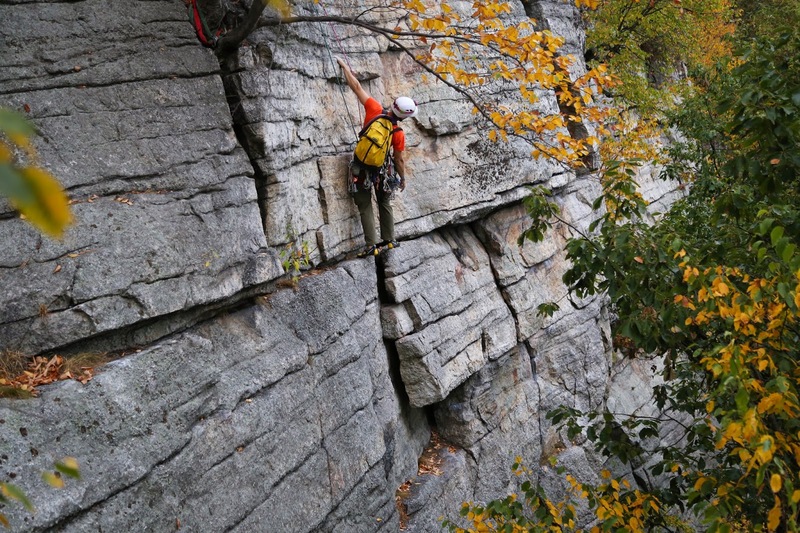 Most recently, I attempted a long multi-pitch adventure which was to repeat one of the worlds longest routes in the Gunks, NY. We unfortunately got rained off the route after just 2 days but the bag came along for the ride and was comfortable enough but I don't think this is one of its strong applications. 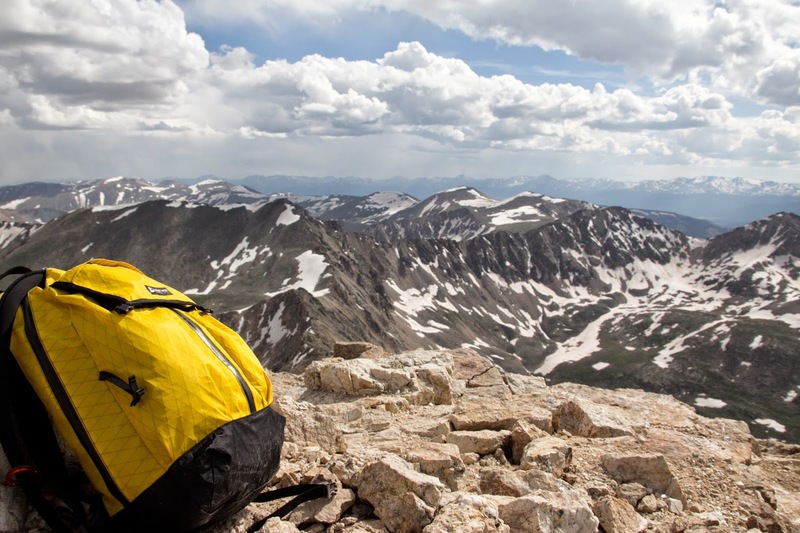 The bag is incredibly tough and hard wearing by any standard. 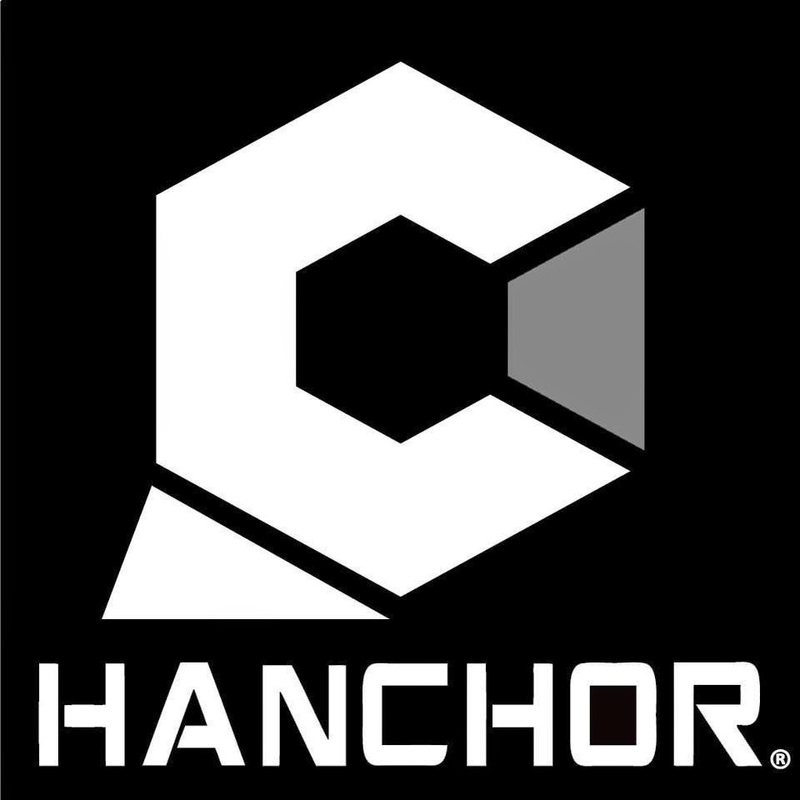 It's another testament of Hanchors' commitment to make quality products that are built to last. Primarily designed as a nifty day pack, it's proven itself to be tough as the city I live in (NY) and suitable for many different uses. As for pricing, the PIPE-T1 comes in at around $174 which seems a lot at first glance but competitively priced when compared to its competitors such as the Arc'teryx Blade 30 or the Osprey Packs Spin 22. 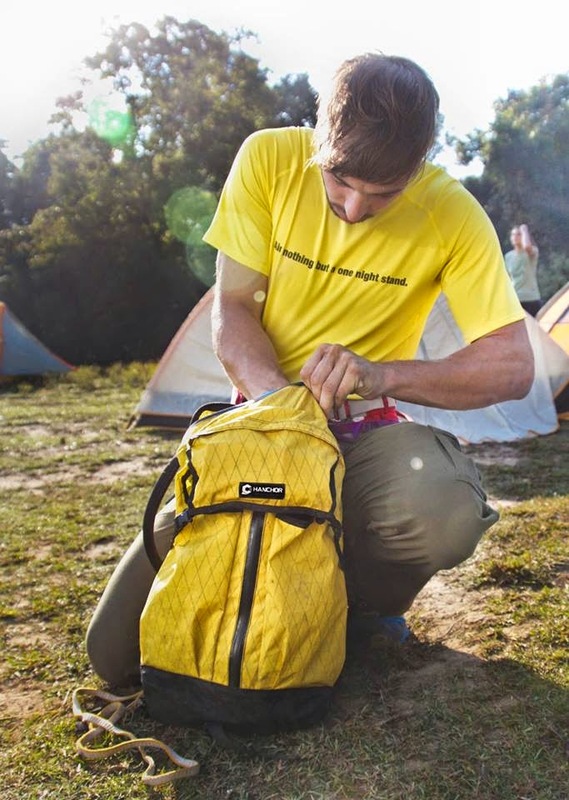 This may not be the first bag you reach for when you go on a multi pitch fiasco, but it fits most other days. Whether your simply commuting to work, getting groceries or wondering around town, this pack is pretty neat!